The latest version of the BFR. Last night, Galactic President CEO of SpaceX Elon Musk gave an update on his big future projects, the BFR (Big Falcon Rocket), BFS (which he says he needs to rename), and his planned tourist flight around the Moon. Video here. Musk also introduced the first paying customer for his lunar flight, Japanese billionaire and fashion guru Yusaka Maezawa. But the big news of the night was that Maezawa didn’t just buy a seat. He bought out the entire flight! Maezawa wants to offer free rides around the Moon to half a dozen or so artists to inspire artistic creations upon returning to Earth. And that is pretty cool. Maezawa at the SpaceX press conference. You can read all about this in other places, and if you’ve read it this far, odds are you have. But I have a few particular thoughts on this that I wanted to talk about here. First, Elon Musk. Mr. Musk has gotten a lot of criticism lately, from defaming one of the divers from the recent heroic rescue mission in Thailand to smoking pot live on YouTube to the boondoggle that Tesla is becoming. Even SpaceX has been kind of shaky for much of its history. He consistently fails to meet deadlines, and people made fun of him for launching his car into space. But you know what? He’s still doing better than everyone else right now, including NASA. SpaceX has competition, to be sure, but that competition is years behind the curve. When it comes to launch capability, SpaceX can launch more rockets reliably for less money than any other company or space agency in the world. And if Boeing and Lockheed or Blue Origin manages to beat him out? Great! As he says, bring it on. At least he’ll have kicked the industry into high gear. For now, though, he’s still doing pretty good work. Second, Yusaka Maezawa. Mr. Maezawa clearly cares deeply about this project. That he is willing to buy out the whole flight and give the rest of the seats away says a lot, but I’d like to dig a bit deeper. 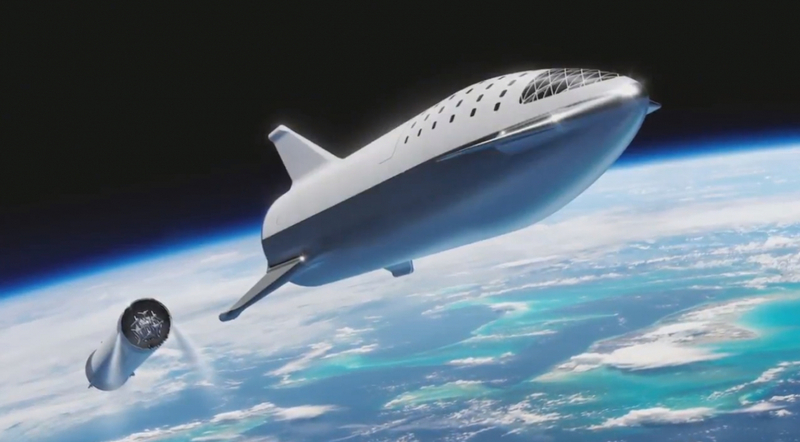 Maezawa is worth about $3.6 billion, according to Forbes, and while we don’t know how much he has paid to SpaceX, the final launch cost for the BFR is estimated at $335 million. The point is that this is not small change to him, where buying a single seat arguably would be. I say this because it shows he’s really serious about it, and I appreciate his contribution to the project. Of course, this isn’t true anymore. Songs about space exploration topped the charts within Feynman’s lifetime. Star Wars is mainstream. People like Bill Nye and Neil deGrasse Tyson are superstars. And even the most successful sitcom on TV is about scientists. But I think Feynman’s sentiment still rings true, especially in the area of space exploration, which has stagnated in recent years. We still need this kind of art, and once again, I thank Mr. Maezawa for making the effort to patronize it. Godspeed. This entry was posted in Art, Current events, Space exploration and tagged BFR, Elon Musk, Richard Feynman, SpaceX, Yusaku Maezawa. Bookmark the permalink.